We were visited or rather inspected by Lt. Col. Jaime Velasquez and Maj. Hanz Menzi, both of the Police Command. They seem to be ranking officers. What the purpose of their visit was, we do not know. They seemed to have been investigating our condition. Col. Velasquez is a graduate of various military schools in the United States and when the war broke out he was Aide-de-Camp to Pres. Quezon. He is one of our most brilliant officers. It had been repeatedly rumored that he had married a daughter of Pres. 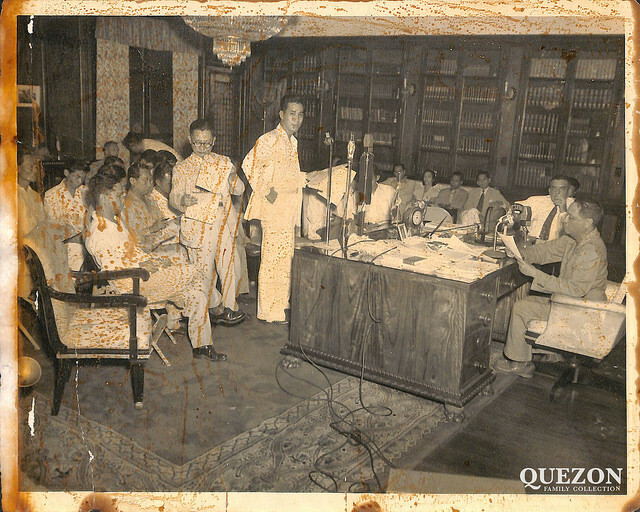 Quezon, Menzi is Swiss-born, but a naturalized Filipino, He was a guerrilla leader. For his guerrilla activities he was twice imprisoned at Fort Santiago. He is lucky to be still alive. We had a long conversation with them. One thing we got clear is that we can never hope to get out of this place until after the termination of the war. We will not even be transferred to Los Baños. We appreciate their frankness. Now we can cease dreaming. Today Sergio Osmeña, Jr., son of Pres. Osmeña, arrived alone. He came from Muntinglupa. 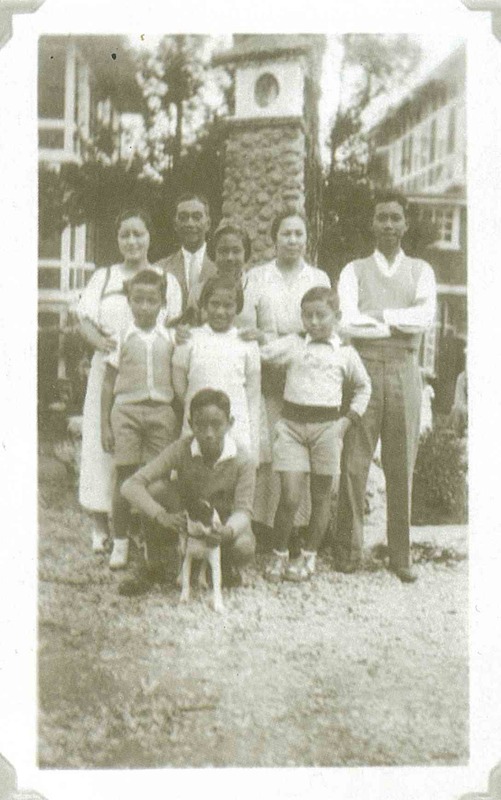 He was detained, I suppose, for his buy and sell business during the Japanese occupation. He was very thin. He was taken to our quarters and given a bed there. Later, it was discovered that he belonged to the enlisted class and he was transferred to the quarters of that class. It was quite a humiliation. I do not know how they make the classification as there are others like him who are in our class. I was tempted to write about his case to his father since Serging, Jr. is a very intimate friend and a compadre of mine. I was also quite intimate with his father, but on second thought I desisted as I do not know what the reaction of Pres. Osmeña under the circumstances. Serging has developed a little fever. I hope he gets well soon. He showed me the letter which I have mentioned somewhere in this diary, that he wrote when statements of his father concerning him and his brother Nick were published in the papers. In effect, the President compared Serging and Nick to his son, Emilio who was killed by the Japanese for refusing to collaborate. Serging’s letter made me cry. As I’ve said before, even under the circumstances, I do not believe I could do what Serging did. A father should be respected and loved by his son no matter what he does. Paredes received a copy of a letter dated May 20, 1945 which Atty. Pastrana of Capiz sent Pres. Osmeña. It was one of the most convincing in defense of the collaborationists. Rev. Enrique Sobrepeña, a Chaplain Major in the Philippine Army, was courtmartialled for collaborating with the Japanese. He was acquitted by the Court, his defense being that he was forced to do so. It was a good omen for us. 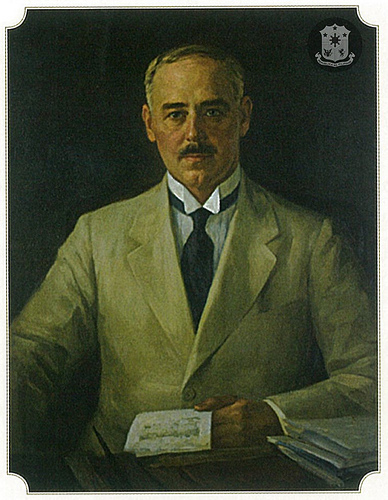 Posted on August 6, 1945 Author Manuel L. Quezon IIICategories Diary of Antonio de las AlasTags Antonio de las Alas, Emilio Osmeña, Enrique Sobrepeña, Fort Santiago, Hans Menzi, Iwahig Penal Colony, Jaime Velasquez, Los Baños, Ma. 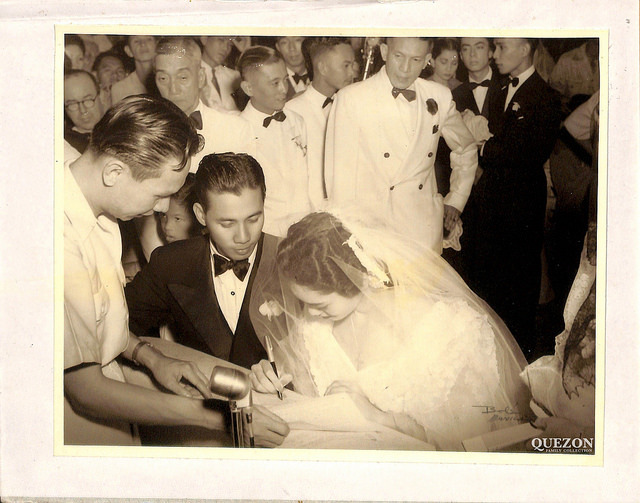 Aurora Quezon, Manuel L. Quezon, Nicasio Osmeña, Pestrana, Quintin Paredes, Sergio Osmeña, Sergio Osmeña Jr.
It’s five days since I’ve last written because I’ve been too excited. So many happy things have taken place which you’ve probably heard. They’ve been very unexpected but certainly most welcome. The question now is when will they land in Luzon? When will they be here in Manila? Most pessimistic version is that they’ll be here around the 31st of January. Conservative estimate is one month. I think that if they land in Batangas, they can be here in a week. But I think I’m letting my anxiety get the best of me. Anyway, there’s one thing definite, certain, they’re going to be here and it’ll be very soon. Quite anxious to see Baby and Nini. Gee, I wish their old man pulled through. Sometimes I think he’s still alive. Trains are loaded with Jap soldiers. Emilio says they’re going to the Bicol regions. They expect landings there. In the provinces, all forms of transportation are being commandeered. They take even push carts. Saw several carromatas and calesas in a Jap truck. How can such a poorly equipped army win this war? I’m going to hear the radio now. Somebody said you can hear the Voice of Freedom again. Mr. Paier, a Swiss, came to the house excitedly just now. He said he got a report that landings have been effected in Aparri, hooray. Pop thinks this is just “rumor”. I told James, my Chinese neighbor. He jumped with joy. “They better come quick,” he said, “because rice is now at ₱5,000”. I said “Don’t worry, they’ll be here by November 15th”. I’m crossing my fingers.